Every owner has unique business insurance needs. 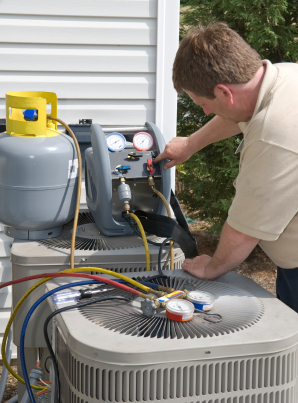 HVAC contractors handle a variety of different jobs such as heating and air conditioning repair replacement and maintenance, and also, boiler and furnace installation. At TriState Business Insurance, we deal with insurance specifically related to your industry every day, allowing us to stay on top of the constantly changing insurance market. Whether it be residential or commercial HVAC installation, big or small, we match you with an A-1 rated insurance company best suited to meet your HVAC insurance needs. Don't risk everything you worked for. Let us examine your business and craft an heating and air conditioning insurance policy that is both comprehensive and affordable. Just a few cities we service: Virginia: Arlington, Alexandria, Fairfax, Falls Church, Woodbridge, Dale City, Newington, Lorton, Fredericksburg, Manassas, Burke, Mount Vernon, Annandale, Front Royal, Leesburg, Reston, Tyson’s Corner, Dumfries, Gainesville, Haymarket, Centreville, Chantilly, McLean, Ashburn, Springfield, Fairfax City, Herndon, Linconia, Springfield, West Springfield, Mantua, Merrifield, Vienna, Dunn, Loring, Franconia, Baileys Crossroads, Seven Corners, Idylwood. In Maryland: Silver Spring, Germantown, Gaithersburg, Rockville, Potomac, Aspen Hill, Bethesda, Takoma Park, College Park, Hyattsville, Chevy Chase, Kensington, Berryville, Middleburg, The Plains, Marshall, Haymarket, Warrenton, Occoquan.